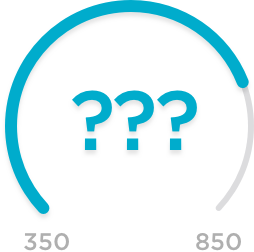 Jacksonville, Florida, can measure its appeal by the numbers. It has an average commute time of just 25 minutes and 24 annual music festivals. The sun shines on more than 90 miles of area beaches 220 days of the year. An equally impressive number of companies serve the mortgage needs of the 1.6 million residents in the seven-county area. Because there is a significant military presence across the First Coast, lenders that specialize in mortgages guaranteed by the Department of Veterans Affairs and that cater to first-time home buyers are in high demand. The challenge for borrowers who want to comparison shop is finding a workable number of high-performing loan providers. To help, NerdWallet has narrowed the field to some of the best-rated lenders we’ve reviewed in various borrower categories. We’ve highlighted some local favorites, too. All are among the mortgage lenders that do the most business in Jacksonville. Ideal for military members and their families. Navy Federal Credit Union offers a wide range of mortgage products and low minimum loan amounts, and considers alternative credit data. Ideal for borrowers who prefer a traditional bank. Bank of America offers a wide array of mortgages and online account management tools. It also has first-time home buyer loans with low down payments and no mandatory mortgage insurance. Ideal for borrowers looking for a loan selection that nearly rivals banks. LoanDepot has affiliated locations nationwide and is well-rated for low customer complaint volume. Ideal for first-time home buyers, including those with little money saved for a down payment. SunTrust's online portal offers information and tools in English and in Spanish. Ideal for first-time home buyers who want to talk to a loan officer in person or on the phone, and for homeowners who want to refinance their mortgages in 60 days or less. Chase offers a full line of mortgage products and account management tools. Ideal for those who appreciate the full-service experience of a leading regional bank. Flagstar offers a full menu of fixed and adjustable home loans and mortgage refinancing, as well as jumbo loans and home equity financing. Ideal for military members and their relatives who are interested in a VA loan. Ideal for first-time home buyers, veterans and those who may have credit challenges to overcome. It’s always a good idea to include a local lender or two in your search for the best mortgage deal. These Jacksonville companies are among the highest-volume mortgage lenders in northeast Florida, though they have not been reviewed by NerdWallet. The largest credit union based in northeast Florida and the second-largest mortgage lender in the region by loan volume. Will pay up to $5,000 in borrower closing costs on certain home loans. Makes credit union membership available to those who live or work in the Jacksonville area. While now splashed across the Jacksonville Jaguars’ stadium, many will recognize the bank’s legacy brand as a provider of teacher retirement programs. Allows you to lock your interest rate before you find a home to purchase. Offers a one-closing construction loan that allows for an 18-month building phase and long-term interest rate lock. While the name may seem to imply otherwise, every loan decision is made within the local branch. Offers bond loans to assist with closing costs. Started as the in-house lender for a leading homebuilder. Offers a program to help credit-challenged buyers qualify for homeownership. Offers an online pre-qualification form to start the homebuying process. 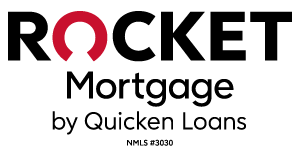 Rocket Mortgage: Best for online convenience. Navy Federal Credit Union: Best for military members and their families. PrimeLending: Best for closing costs assistance. Bank of America: Best for a wide variety of loan products. LoanDepot: Best for customer service. SunTrust: Best for first-time home buyers. Chase: Best for a wide variety of loan products. Flagstar Bank: Best for a wide variety of loan products. USAA: Best for military members and their families. Caliber Home Loans: Best for first-time home buyers. Vystar Credit Union: Top Jacksonville lender. TIAA Bank: Top Jacksonville lender. Bank of England: Top Jacksonville lender. DHI Mortgage: Top Jacksonville lender.